The 2018 Chrysler Pacifica is here, and it’s turning the minivan segment on its head. This leading-edge family van is redefining what it means to drive a minivan, offering so much more than just utility. The Pacifica was named Best Buy Minivan, Best New Family Car and Best Family Minivan, and it’s not hard to see why. It’s stylish, smart, safe, comfortable and capable — what’s not to love? The 2018 Chrysler Pacifica is the highest ranked vehicle in its segment, and it’s available now at Landers Chrysler Dodge Jeep Ram in Norman, Oklahoma. Landers CDJR of Norman customers come in from across the Oklahoma City metro, including Edmond, Moore, Midwest City, Yukon and Del City. Put your family (and yourself!) first, and stop in today to take one for a test drive. Just because you’re looking for a sensible family car doesn’t mean you have to compromise on style. Minivans don’t exactly have the best reputation for being easy on the eyes, but the 2018 Chrysler Pacifica is quite a departure from the other vans we’ve seen over the years. It has a beautifully sculpted body and holds an athletic stance. When you first see one go by, it doesn’t even register as a traditional minivan. It looks that good. The Pacifica offers available eye-catching 20-inch polished aluminum wheels with tech gray pockets, along with chrome accents and a huge tri-pane panoramic power sunroof. The interior of the van makes even more of a statement with a beautiful flowing design that screams luxury in a family-friendly package. You’ll find seating for up to 8 people, including heated and available ventilated front row seats and available power folding seats in the third row. Cleverly placed storage spots are spread throughout the cabin for your convenience, and the noise cancelling technology will keep the outside noise to a minimum. The 2018 Chrysler Pacifica is one smart minivan, loaded with the latest technology inside and out. It has hands-free sliding doors so you can simply kick below the sensors to open the van when you have a baby in one arm and groceries in another. The power liftgate uses hands-free technology too, so you never have to lift a finger to open a door. 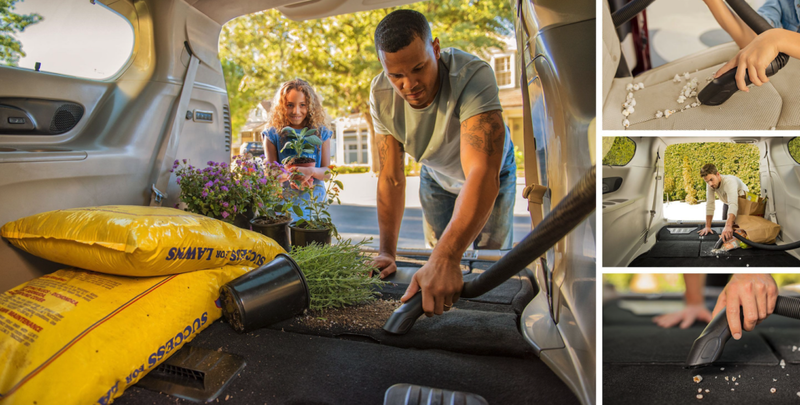 The available Stow ‘N Vac built-in vacuum cleaner located in the second row allows you to easily swoop in behind any messes that may occur on your journey. The Uconnect system, the hub of all the Pacifica’s tech, keeps you connected and keeps the kids occupied. The system has sharp graphics, immediate touch responses and a very user-friendly interface with an available 8.4-inch touchscreen. For the kids, you can also get dual 10.1-inch HD touch screens with a Blu-ray player in the second row. The theatre also comes with HDMI inputs, wireless headphones, Bluetooth remotes and downloadable games and apps. So you can count on your kids being entertained for hours on end, and you can focus on your music, podcasts or conversations. Safety is always a top priority when it comes to shopping for a family vehicle, and the 2018 Chrysler Pacifica definitely doesn’t disappoint in that department. The Pacifica earned the best possible scores in crash safety testing, and earned itself the title of Top Safety Pick + in 2017. In fact, the Pacifica was the only minivan to be awarded this title by the Insurance Institute for Highway Safety this year. That should tell you just how seriously Chrysler takes safety in the Pacifica. The minivan has available features like 360 surround view camera, driver assistance, full-speed forward collision warning with active braking, adaptive cruise control, lane departure warning, blind spot monitoring, and even teen driver monitoring systems. Parking assistance comes standard too, so you can parallel and perpendicular park easily without needing to worry about colliding with any obstacles in the process. 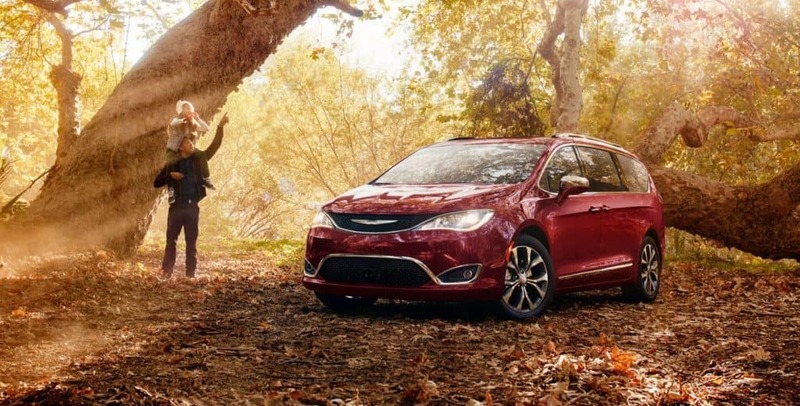 With this vehicle, you can take comfort in knowing your Pacifica will have your family’s back. 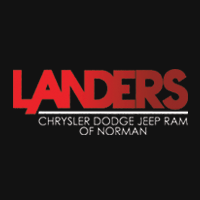 Family owned and operated, Landers Chrysler Dodge Jeep Ram of Norman is the perfect place to get a 2018 Chrysler Pacifica for you and your family. Come see us to take one for a test drive or check out our inventory online. Browse our Chrysler Pacifica inventory online.